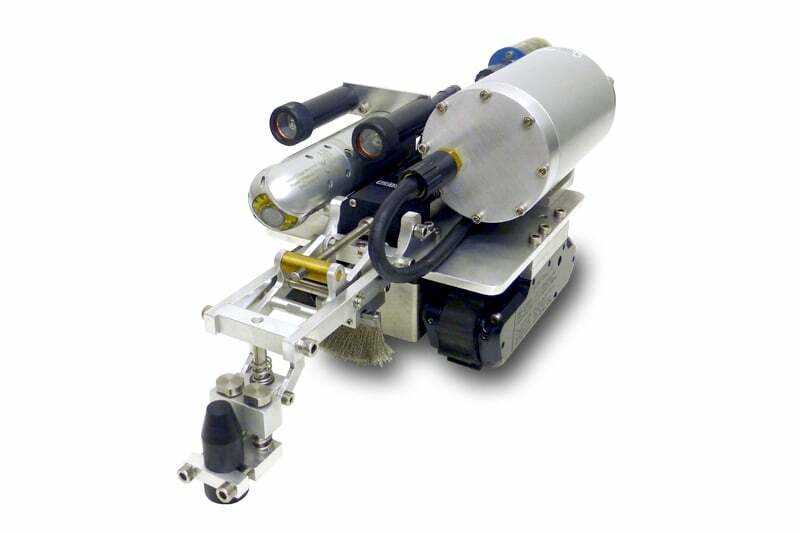 The MicroMagTM UT Probe and Wire brush is a high-performance easy-to-use accessory for the standard MicroMagTM crawler to support highly accurate ultrasonic thickness measurements of underwater ferrous metal surfaces. It can also be used in air with a couplant. The standard probe included with the Inuktun MicroMagTM is the Industrial Cygnus Mini ROVTM UT probe, which offers sound velocities between 1000m/s and 9995m/s, with accuracy of 0.1mm. Resolution is 0.05mm, and the frequency is 2.25MHz for measuring steel thicknesses between 3mm-250mm. Options are available in 3.5 MHz (2mm-150mm) or 5.0MHz (1mm-50mm). The probe is fully integrated with Inunktun’s VersatraxTM controller and video display functions and its multiple echo transducer enables fast and reliable measurements on surfaces that are heavily corroded and/or coated. If you are considering one of these industrial camera systems, it’s worth noting that the lower frequencies offer better penetration of corrosion and coating. The probes are single crystal soft-faced compression 13mm and are CE-compliant and approved to British Standard BS EN 15317:2007. 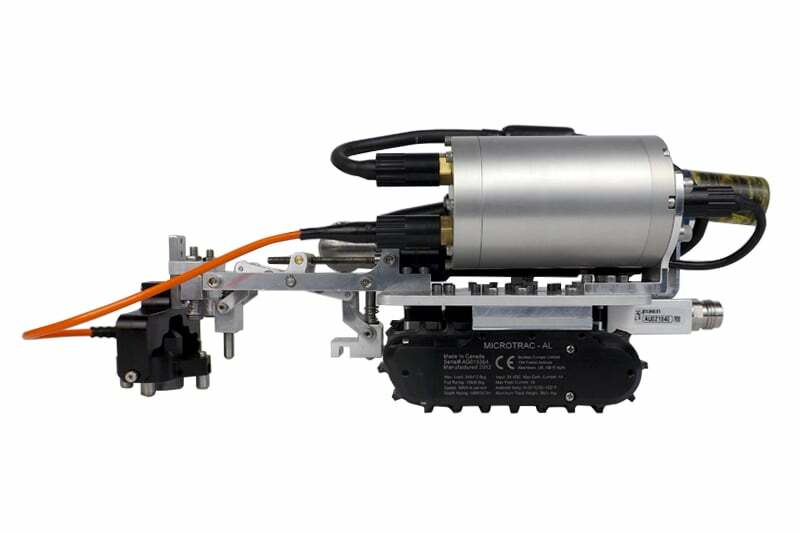 The fully assembled hardware component can be bolted quickly and easily onto the flat chassis of the MicroMagTM system, with all connections plugging directly into the system’s existing wiring harness. The probe circuitry is housed in a waterproof electronics canister. Because the system is fully integrated with Inuktun’s VersatrixTM controller, it is pre-programmed to recognise the assembly so that all mechanical functions can be operated remotely. The intuitive up/down buttons make it easy for the operator to control the movement of the spring-loaded probe and wire brush, and the shared pivot point means each tool can be raised or lowered to carry out a single function at a time. When the broad wire brush is in ‘down’ mode, the surface can be prepared and when the probe is ‘down’, metal thickness data can be collected. When the system is in ‘neutral’ mode, both tools are raised to enable the vehicle to move normally. The equipment carries a three-year warranty on the gauge and a six month warranty on the probe. Contact us to find out more about Inuktun’s range of modular mobile robotic crawler vehicles and accessories or any of our other robotic crawlers and tractors, or click to view our full pipe inspection camera range.